Dave standing at our kitchen window. I made Dave wash his hands at our kitchen sink. He thought it was a pretty dumb idea. Supposedly french door fridges are more efficient and have fewer problems with the ice makers than do side-by-sides. 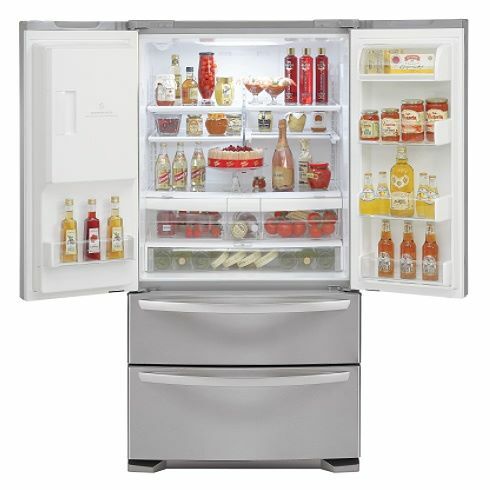 They also allow you to fit in larger items such as platters that may be a tight squeeze in a side-by-side. This one has two drawers for the freezer, so we won't be digging through stacks of items when we're looking for that tub of rocky road ice cream. 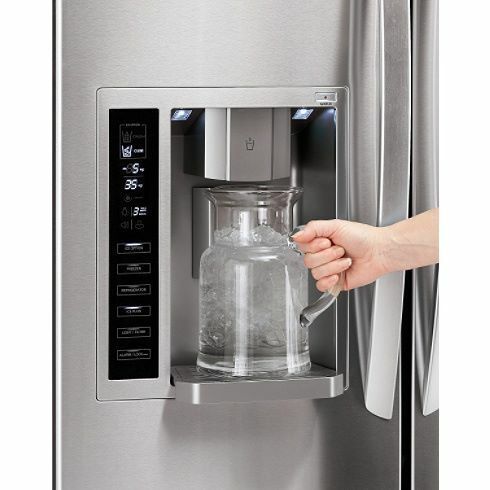 It also has a sweet ice and water dispenser that allows larger items, even pitchers, to fit under it. It is nice and spacious on the inside with an efficient layout. An it's stainless steel, which we needed to match our other appliances. I told Dave I'm somewhat grateful that we're getting our other kitchen appliances through the builder. 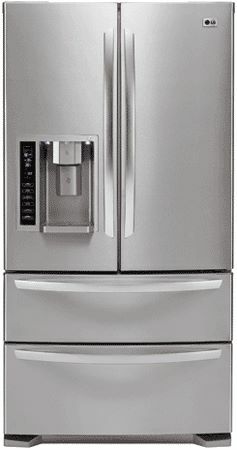 (Basic appliances are included with the price of the house, then we paid extra for a few upgrades.) It took us quite a while to decide on a fridge...I can't imagine if we also had to pick out a microwave, a dishwasher, and a stove. We'd be shopping for months. It'd be exhausting. To all you home improvement people who redo your entire kitchens...kudos to you!! Nice fridge! We redid our kitchen, but kept the apliances. Except we got a new microwave. I thought it was stressful trying to find the best microwave, so I'm glad we didn't have to do all the appliances at once too!